We will be streaming when we hit a final table tonight. 45 players remain from a starting field of 154. Many notables are still in the field, including Je Wook Oh, Mark Dube, Chad J. Brown, Sara Kopp, Michael Hourigan, and Soukha Kachittavong. The top 18 players will make the money. The board read [6c][5c][7d] and Baruch Thaler had Eric Rivkin all in. Baruch held [4s][4h] for a pair of fours and an open ended straight draw, but Eric was leading for the moment with his [Td][7s]. The turn [7c] gave Eric trips but did not change Baruch's outs. When the [4c] hit the river, the rail exploded. Baruch had hit his ten outer, knocking Eric Rivkin out in 2nd place. 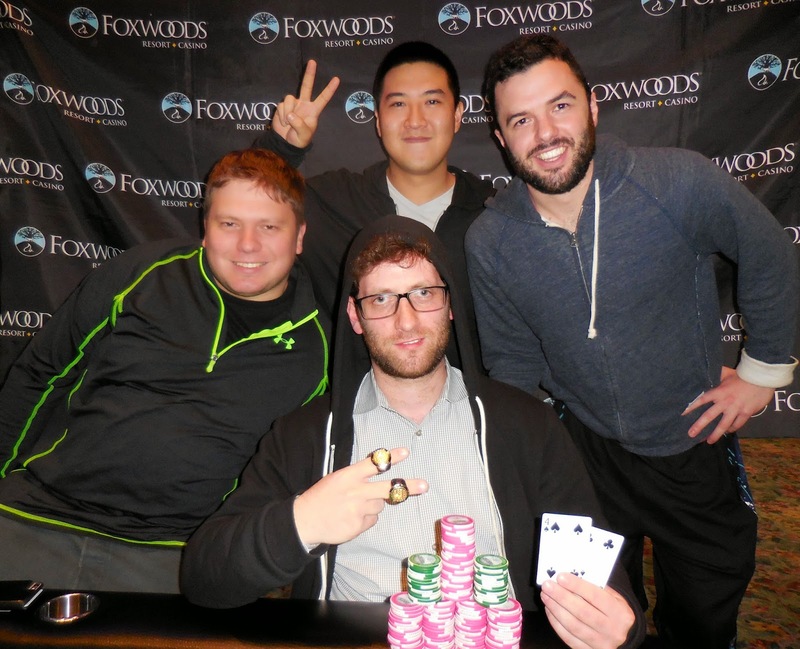 Baruch has won Event #7 $365 NLH, taking home $12,124 and his second World Series of Poker Circuit ring. 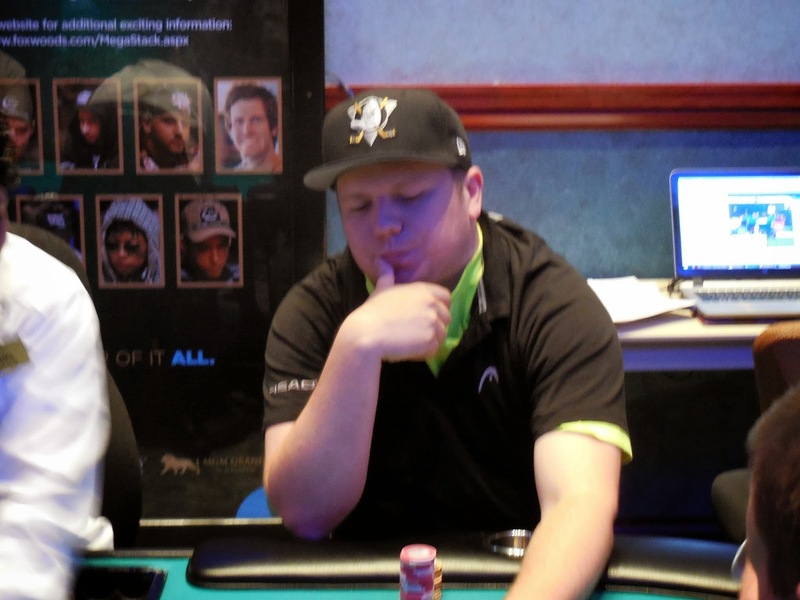 Baruch is now tied with James Campbell for Casino Champion, however this win puts Baruch in 13th place on the National Leaderboard, already guaranteeing him a spot in the National Championship. Congratulations, Baruch! 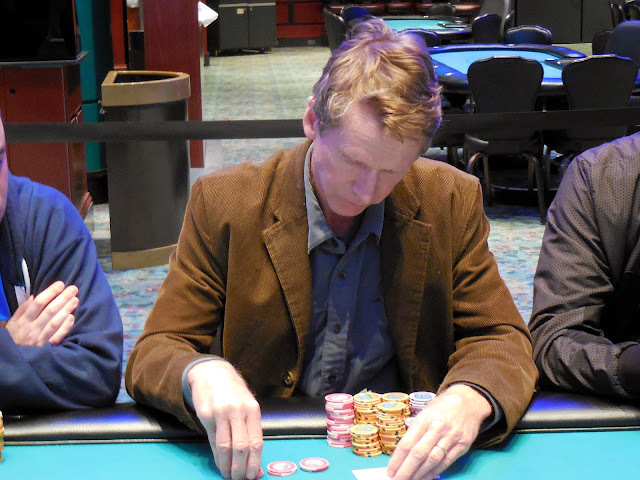 Bill Rosen was all in on an ace high board holding ace-three. Unfortunately for Bill, Eric Rivkin held ace-five. The five kicker held up, and Bill will head to the rail in 3rd place, earning $5,408 for his efforts. 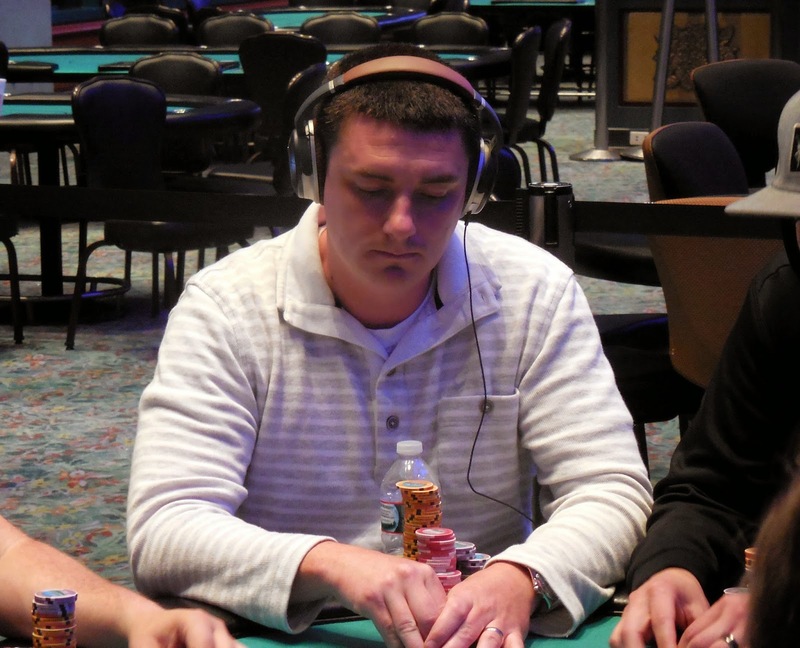 3 players remain, Eric Rivkin leads with 613,000. Levels will be 50 minutes for 3 levels. Remaining levels will be 60 minutes. Play will resume at Level 23 (8,000/16,000 blinds with a 2,000 ante). A few hands later, queens appeared again. This time Baruch Thaler had [Qs][Qd] and he had Eric allin with his [Ac][9c]. The [Kh][2c][3s] flop was no help to Eric, but the [3c] hit the turn to give him a flush draw. 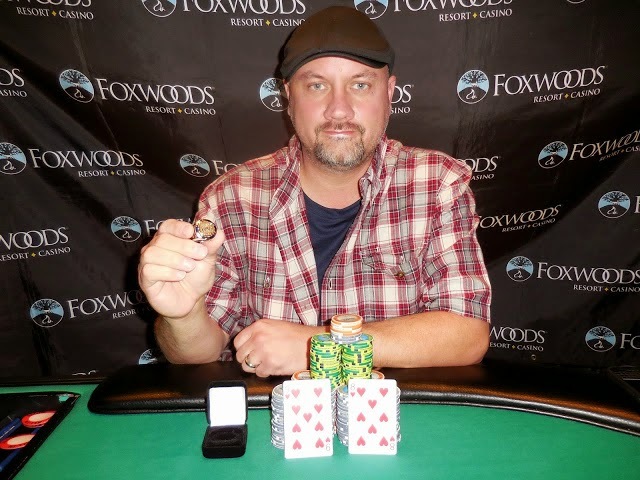 The [7c] river gave Eric the winning flush, doubling him up to 510,000. Baruch got his stack in a few hands later on a [7s][Ac][Tc] flop holding [Ah][Qs]. Bill held [Jd][Jc] for an underpair, so Baruch had to dodge two outs to survive. The turn and river fell [4d][Qc] to put Baruch back at 500,000 and knock Bill back down to 290,000. 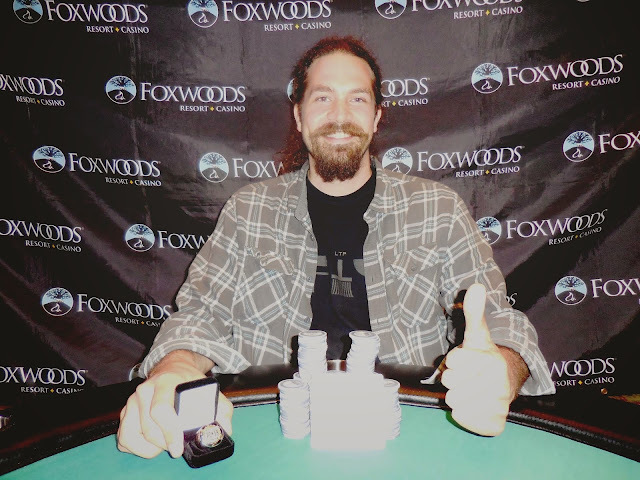 James Campbell opened the pot before Eric Rivkin reraised. James moved all in and Eric made the call showing [Ts][Tc]. James was flipping with his [Ac][Kd]. The flop fell [Qd][8d][Qs], changing nothing, but the [Js] turn meant James could also counterfit Eric with another jack. 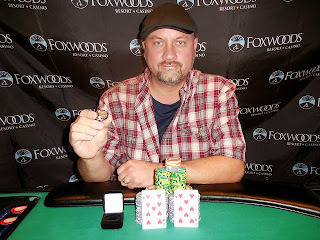 The river landed the [9c], missing James and eliminating him in 4th place. 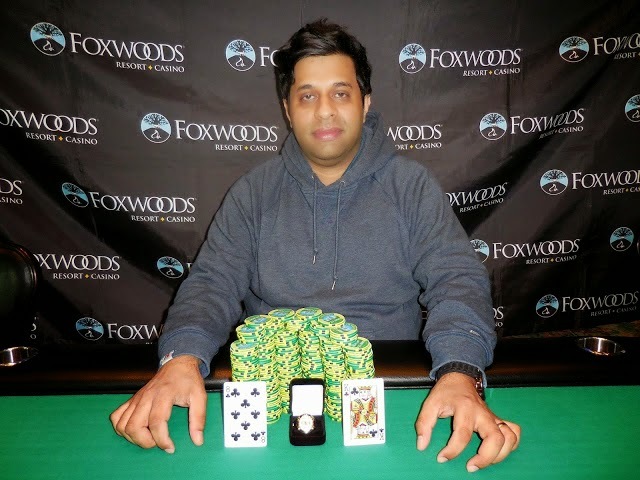 He will collect $3,975 for his efforts, but more importantly, James has taken over the lead as Casino Champion with 75 points. Sotirios Tsiantoulas was all in preflop holding [Ah][Jd] and was flipping with James Campbell's [7s][7d]. The board ran out [8s][Qd][3c][4d][4s], keeping James's sevens in front. 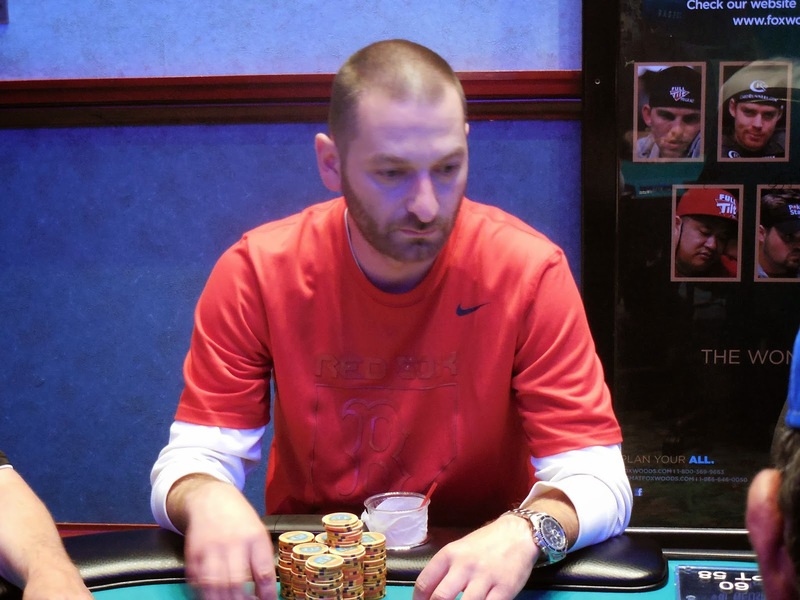 Sotirios will exit this tournament in 5th place, collecting $2,970 for his efforts. Michael Hourigan was all in with pocket nines and was flipping with Baruch Thaler's ace-jack. 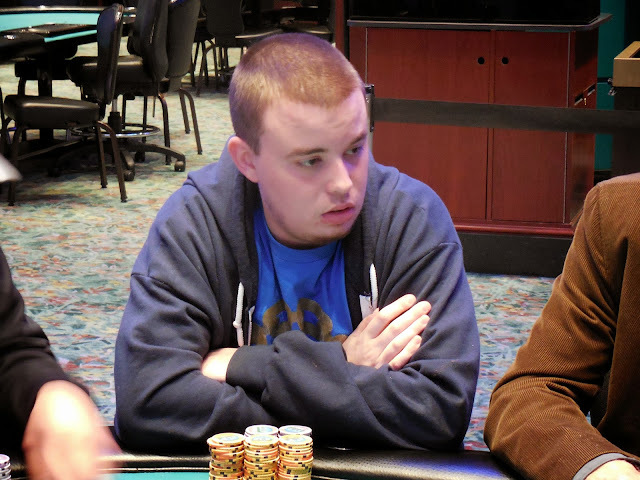 The board ran out Q-8-A-5-Q to give Baruch the winning pair of aces, and Michael will be eliminated in 6th place. He will collect $2,260 for his efforts.